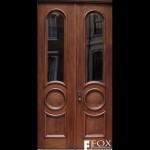 This mahogany arched panel door graces a home near Ritthenhouse Square in Philadelphia, PA. 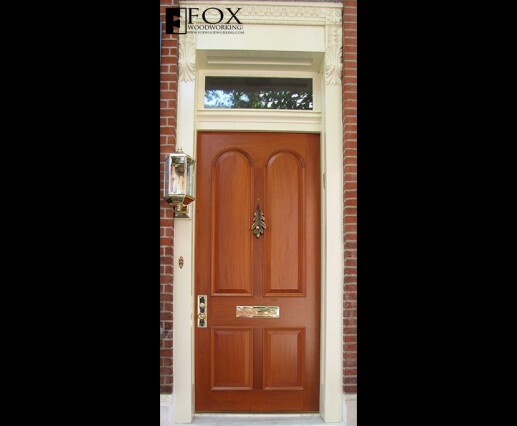 The painted jamb was made from Spanish cedar. 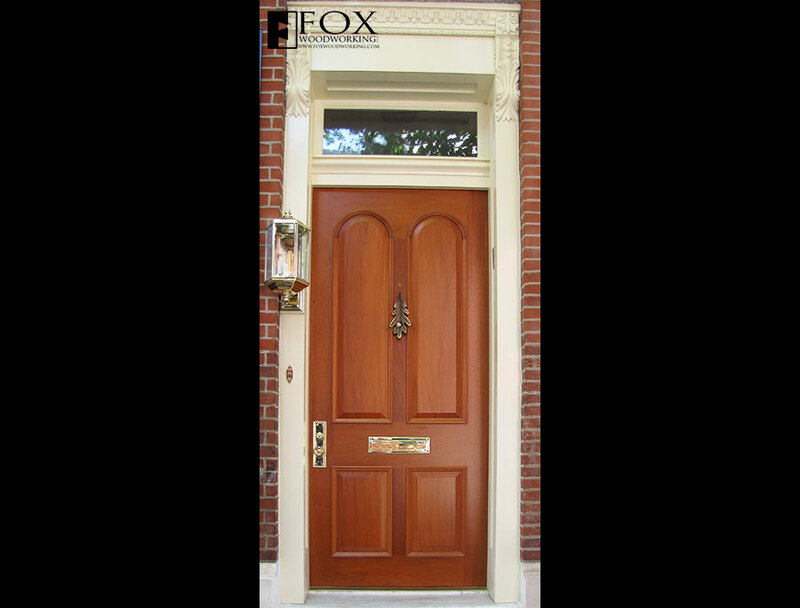 An insulated pane of glass is set into the transom while the carved moldings were saved from the original jamb and reapplied to the new door jamb. 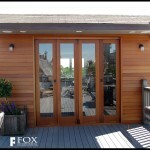 It gives us great satisfaction to create such a distinctive entry to a home.